Austin tends to fly under the radar when it comes to climbing destinations, but it's actually a great place to climb year-round. 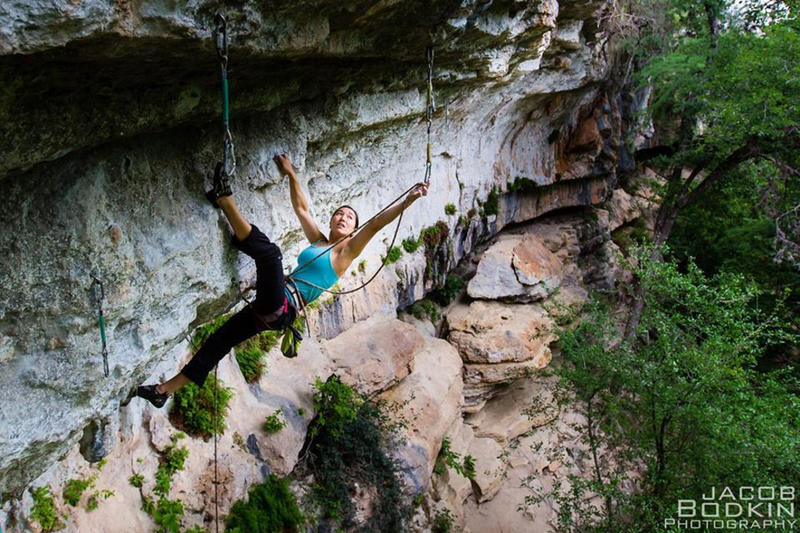 Here are our top 4 climbing destinations in Austin. Check them out to see what Central Texas climbing has to offer. If you're new to climbing, first check out our Beginner's Guide to Climbing in Austin and learn how to get started. If you're ever in south-central Austin, make sure you check out the Barton Creek Greenbelt . The limestone on the greenbelt is significantly more polished than the rest of Austin due to the high traffic, but if you're just looking to get a few burns in, the greenbelt makes for a great daytime or after-work crag. There are a few boulder problems at the Gus Fruh entrance, but the rest of the greenbelt contains primarily sport routes. 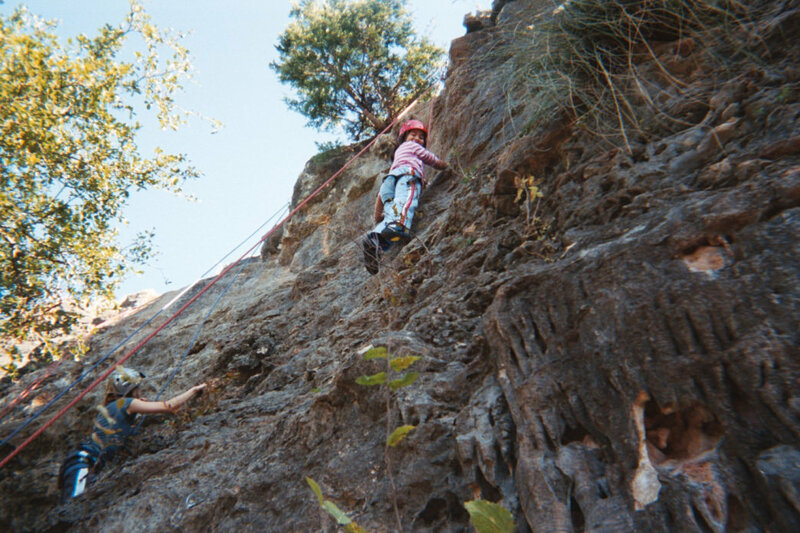 None of the routes are taller than 70 feet, so you'll be fine with at least a 40-meter rope. Depending on the time of year, you may have to cross the creek, so bring a towel just in case. 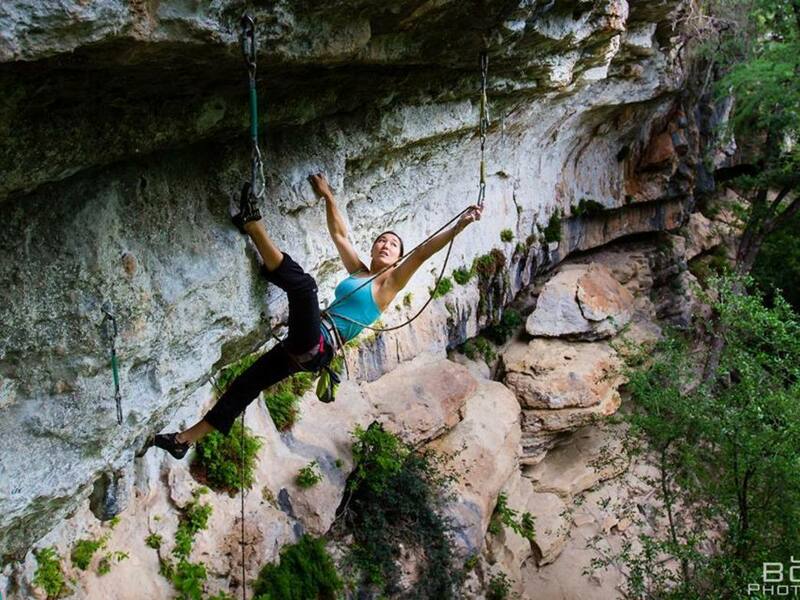 If sport climbing is your style of choice, then Reimer's Ranch is the crag for you. With over 300 routes, Reimer's is sure to please any sport climber looking for a good time. Routes are no taller than 50 feet, but the routes are sustained for the grade, ranging from 5.6 to a newly developed 5.14. 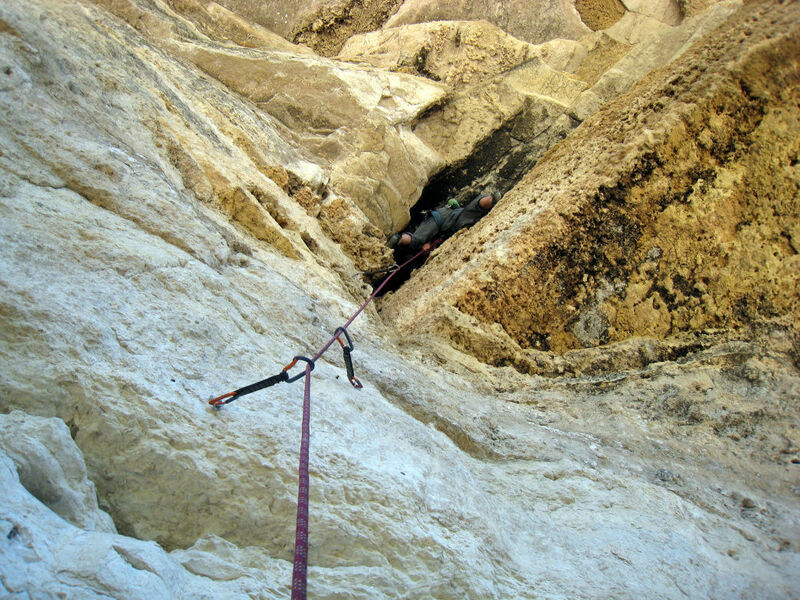 Reimer's Ranch includes the Reimer's Proper crag (185 routes) and the recently established North Shore crag (120 routes). The North Shore tends to stay in the shade for most of the day, while Reimer's Proper tends to see more sun. During the warmer months, you can end your climbing session with a relaxing dip in Lake Travis, or just down the road at Hamilton Pool.Dogs are allowed in the park on leashes, and the entry fee is $10 per day per car, so it's best to carpool. Important note: Like some other parks in the area, Reimer's is a county park, and NOT a state park. So your Texas State Parks Pass will NOT work here. However, you can purchase a specific County pass that will get you into Reimer's and nearby Hamilton Pool if you don't want to pay each time you go there. On the northwest side of Austin, you can head over to Bull Creek for some technical boulder problems. At 15-ft tall, problems at Bull Creek may not rival the highballs at the Buttermilks, but they are taller than most boulder problems around Austin. This crag also sees high traffic, so the holds will be polished and difficult to use during warmer, more humid months—anytime between April and October. This crag is almost always in the shade and contains problems ranging from V0 to V8. Located on the southeast side of Austin, McKinney Falls has a reputation of being tweaky, stiff, and committing. If you're looking to get stronger as a boulderer, then pack a few crash pads and head out to McKinney. The daily entrance fee is $6 per person unless you have an annual Texas State Parks Pass ($70). With over 50 boulder problems, the grades range from V0 to V11 with stiff warmups. Classic problems include: F*** Nut (V2), Prow (V4), and Evil Eyes (V5). As you can see, there are plenty of boulder problems and sport routes in Austin to keep you busy. All of the routes and locations can be found in the Austin Climbing guide book, and many of them can be found on the RR Austin Climbing City Page. So what are you waiting for? Grab your gear and get climbing!